Aging is a great adventure, an opportunity to deepen and enrich our spirituality. In this e-course in Spirituality & Practice's Elder Spirituality Project, Joan Chittister discovers blessings behind every aspect of growing older. There is a difference, Joan Chittister notes, between age, aging, aged, ag’ed, and ripened. Through this program, Chittister reframes aging and encourages us to discover through reflection and practice what new perceptions and attitudes about growing older can mean for our own lives. 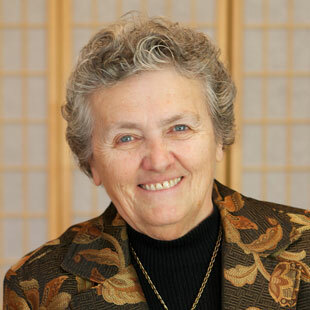 Joan Chittister, now in her 70s, has been a Benedictine nun for 50 years and is the founder of Benetvision: A Resource and Research Center for Contemporary Spirituality. One of their projects was the basis of the S&P retreat Creating a Monastery of the Heart; this monastic movement now involves 7,500 seekers from around the world. Profiled as one of S&P’s Living Spiritual Teachers, Chittister is the author of 40 books, including The Gift of Years: Growing Older Gracefully (see below). For this online retreat, themes she introduced in that book become the launchpads for further reflections by Chittister. • spirituality, wisdom, and legacy. • 12 emails with links to other course content. • Video messages from Joan Chittister. • Additional wisdom, spiritual practices, journal prompts, and creative exercises to ground the teachings in an elder’s everyday life. This is a glorious spiritual workshop for elders who are ready to complete in themselves all that has been neglected and postponed when they were younger — and it is for anyone of any age who is ready to embrace a vision of elderhood as a blessed time to be fully alive.